Extra large and clear type, neat, uncluttered pages, manageable 7"x10" page size. 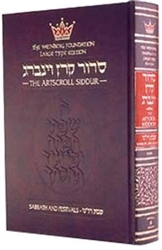 Complete with the famed ArtScroll translation, instructions, and abridged commentary. 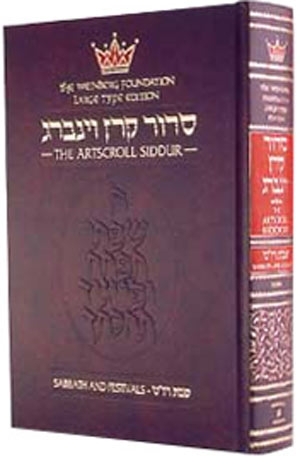 Nusach Ashkenaz.